Trust is built by demonstration, not by simple promises. Steinbeis India’s experience was similar when it won the trust of its client after it organized for demonstration. Demonstration in this case was a live, working Waste-to-Energy plant, utlising the Pyro-Gasification Technology we were advocating. We had live working plants in Switzerland, Italy and Morocco, locations far away from India. However Mr. De Bruijn made a personal visit to the plant in Italy and realized that Steinbeis India’s presentations of the technology are true to reality and they exhibit a genuine quality in the treatment of Waste. As a result, upon his return to India, he decided to sign a Technology partnership agreement with us and an MoU with our European Technology partner. Prior to this, when negotiating purchase of this design, he emphasized that the stakes were high, that this technology despite its credentials, was priced at a premium and had no working plants in India. His concerns about potential loss, were however, wiped away when he saw the magnificent display of the technology in Italy. 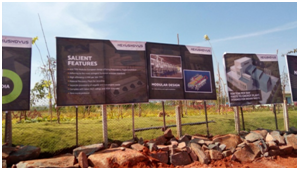 He is now confident that he will not only utilize this technology for his plant in Bangalore but also for 2 upcoming locations where he has won tenders.